Essential Oils for Autoimmune Disease - are they effective? I’ve always been a healthy person with some very unhealthy habits! From an early age I was very active physically, cycling long distances (up to 160 km or 100 miles per day), hill-walking in Wales and later South Africa, running five to ten miles in the morning and so on. A year ago I took up cycling again in my new home, Australia. And then I contracted an autoimmune disease. 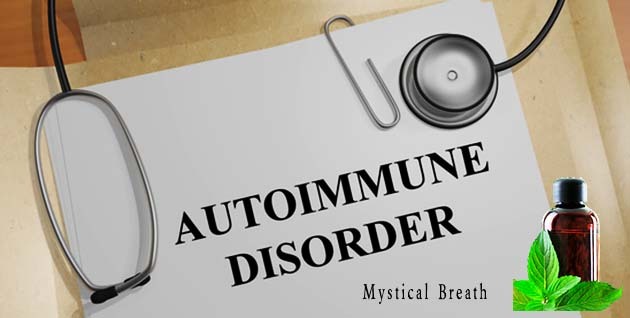 So I ask with personal interest – are there essential oils for autoimmune disease? There were gaps in my physical training over the years of course, particularly during my months at sea, and most especially in my mid forties when I stopped most activities for almost ten years. But the one consistent aspect of my behavior though was drinking vast quantities of beer and often wine; hard liquor I gave up as a very young man of twenty for the simple reason I realized how destructive it was – and how easy it became to drink a whole bottle of whisky or rum in a night! But I was always healthy! The upshot of this is that I must be extremely careful what and when I eat and drink. 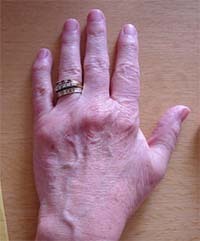 The condition can be painful and has potentially serious consequences (see the link above to the Mayo Clinic). 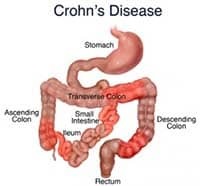 UC is an autoimmune disease and as such it cannot be treated except by attempts to moderate the impact of the body’s malfunctioning immune system; it cannot be cured. Are there any effective essential oils for autoimmune disease? You need to avoid any Essential Oil that might boost the immune system. For this reason, it is a good idea to avoid Essential Oils such as Palmarosa, Rosalina, and Thyme. Any oil that is an immunostimulant should be used in low doses. WHAT ESSENTIAL OIL FOR AUTOIMMUNE DISEASE MIGHT YOU TRY? Cinnamon Leaf Essential Oil: Cinnamon’s pain relieving properties have been used to treat inflammation, tooth aches and can be used as a mild local anesthetic. Cinnamon Essential Oil can be an extremely potent oil and needs to be diluted in the right concentration. Try blending Cinnamon and Clove Bud Essential Oil, then dilute to .6% in any Carrier Oil, and use your finished product as a warming and effective massage oil. It can also be diffused in an Ultrasonic Aromatherapy Diffuser to combat sickness. Clary Sage Essential Oil: Clary Sage has a long history of being used to treat symptoms of PMS and Menopause. It has an extremely balancing effect on our hormones and can be used to treated cramps. Clary Sage is also effective for the treatment of depression, anxiety, and insomnia. Mix Clary Sage into your favorite Carrier Oil and use it daily as an all-natural moisturizer. It can also be diffused into the air for its mood-enhancing properties. As one of the essential oils for autoimmune disease, this looks promising. Cypress Essential Oil: Cypress Essential Oil is useful for treating the inflammation of muscles and joints as well as symptoms of rheumatism and the pain associated with varicose veins. To help with breathing difficulties, diffuse Cypress Essential Oil into the air using and Ultrasonic Aromatherapy Diffuser. For pain relief, blend equal parts Cypress, Sandalwood and Lavender Essential oils and then add this blend to your favorite Carrier Oil for use as a massage oil. As one of the essential oils for autoimmune disease, this also looks promising. Ginger Essential Oil: This oil is especially useful for its warming properties. When diluted and applied to the skin, Ginger Essential Oil induces a warm and soothing tingling feeling that helps with pain relief and will reduce swelling and inflammation. Ginger Essential Oil is also useful for aiding in digestion and it alleviates nausea. If Colitis or Crohn’s Disease has left you feeling a little queasy, try blending 2 drops of Ginger Essential Oils with Cypress and Coriander Essential Oils and adding the blend to 1/2 cup Epsom Salt for use as bath salts. As one of the essential oils for autoimmune disease, this also looks promising. Roman Chamomile Essential Oil: Chamomile’s most popular use is to treat insomnia. In addition to this oil’s calming and soothing properties, it can also be used to treat the aches associated with chronic pain that results from a number of autoimmune disease and disorders. To relieve stress and tension headaches, diffuse Roman Chamomile into the air using an Ultrasonic Aromatherapy Diffuser. For arthritis pain, add 1-3 drops of Roman Chamomile Essential Oil and 1 drop of Peppermint Essential Oil to your bath water. As yet another of the essential oils for autoimmune disease, this also looks promising. 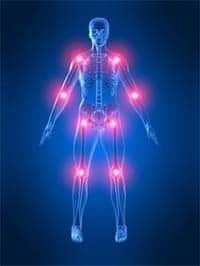 When it comes to treating Autoimmune Diseases, it is always best to do your research, and consult your physician regarding your treatment plans. A certified Aromatherapist can help you develop a Natural Wellness regime to alleviate your symptoms and help you live a pain-free life. This condition has shown a great response to treatment with thyme, rosemary, lavender, and cedarwood) in a mixture of carrier oils (jojoba and grapeseed) applied/massaged into the scalp daily. In one controlled experiment mediated by two dermatologists, 44%) of patients in the active group showed improvement. 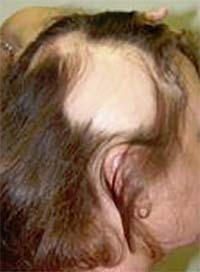 The experimenters concluded that the results show aromatherapy to be a safe and effective treatment for alopecia areata. Treatment with these essential oils was significantly more effective than treatment with the carrier oil alone. More trials have investigated the effectiveness of aromatherapy in dementia than in any other condition. Here is one example described in a series of steps. a) Lemon balm and lavender aroma were introduced to six patients and compared with sunflower oil for six others as controls for one week. The treatment increased functional abilities and communication, and decreased difficult behaviour. b) Lavender aroma and massage with 21 patients were compared with aroma or massage alone for one week. Aromatherapy with massage significantly reduced frequency of agitation. c) Lavender aroma was given to 15 patients as oil and placebo (water) on alternative days for 10 days. The aromatherapy significantly reduced agitated behaviour (as assessed using the Pittsburgh Agitation scale) versus placebo. d) Lemon balm (Melissa) lotion was applied to the face and arms of 36 patients while another 36 patients had sunflower oil applied. 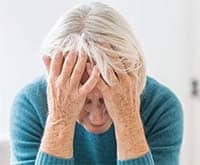 Melissa was associated with highly significant reductions in measures of agitation (on the Cohen Mansfield Agitation Inventory) and social withdrawal, together with an increase in constructive activities (as measured by dementia care mapping). e) Lavender, marjoram, patchouli and velvert were applied as a cream to body and limbs of 36 patients and compared with plain oil. The essential oil combination significantly increased scores on the Mini Mental State Exam, but also increased resistance to care (considered to be due to increase in alertness), compared with the plain oil. I have not found any credible research material covering the use of essential oils to help with celiac disease. All of the articles I have read tend to cover the general benefits of improved immune system response, mental condition and so on. I will continue looking and report back if I find something credible. “I obtained some new essential oils (Copaiba and Di-Gize) and began taking them immediately. The first day I was taking them (internally and externally) I had the first normal BM (bowel movement) in weeks, if not months! I almost didn’t remember what it was like to not have diarrhea at that point. My husband was SHOCKED. Little did HE know, when we said our vows 7 years ago that he would be hearing about my daily stool habits. Since then, normal stools have continued unless I eat too much dairy (hard cheeses) in my GAPS style diet-which I have been on for 2 months.” You can read the full story here. 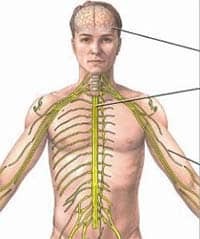 Fibromyalgia– This disorder is characterized by aches and pains in the muscles along with chronic fatigue and insomnia. It is estimated between 3 to 6 million people in the US suffer with Fibromyalgia. Ninety percent of them being women. Helichrysum oil has been shown to decrease muscle pain, improve circulation and support healing of nerve tissue which makes it an effective natural treatment for fibromyalgia. Last October, I stopped my medications, cold turkey (not recommended but I was desperate) and started using Peppermint, Lemongrass and a blend called Endoflex. I layered them topically on my thyroid (base of throat area) and adrenals (mid-back) 3x/day. Within a week I felt better and was able to workout again. I kept up this regimen until December and was even able to lose some weight and get some energy back. In December, I added Frankincense to the mix, but decreased my usage to 2x/daily. This decrease happened mostly because of lifestyle changes more than by intention. However, I did not have any issues come up with the decrease in frequency. I added Frankincense because although I was feeling better, my thyroid antibodies were still at approximately 6,000 (goal is 40 or under depending on what type of physician you work with). Needless to say, I was on a mission to get those antibodies down!. 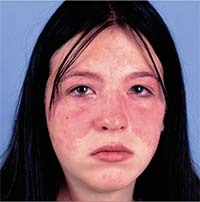 Lupus – A disorder which instead of the body’s immune system functioning properly as protection from harmful invaders, it forms antibodies that attack healthy tissues and organs. Symptoms include aching joints, inflammation, swelling, fatigue, fevers and rashes. Lupus is a mild disease affecting only a few organs, but for some people it may cause serious, even life-threatening problems. Frankincense essential oil is effective at reducing inflammation and immune reactions associated with lupus. You can take 3 drops 3x daily in water, in honey or in capsule form. Helichrysum oil supports the nervous system and can help reverse autoimmune reactions. Helichrysum can be taken internally or applied to neck area. For skin inflammation lavender and geranium oils work well add 3 drops to skin and for digestive issues associated with lupus take 3 drops of ginger oil internally 2-3x daily. Essential oils like lavender, frankincense, geranium and tea tree oil can bring relief to inflamed skin and support the healing process. Mix 3 drops of lavender oil and 3 drop of frankincense oil with 1 tsp of coconut oil and rub onto affected area. Boswellia. It’s also known as Indian frankincense, and it appears to have similar anti-inflammatory properties as NSAIDs without the stomach problems. Like turmeric, boswellia is used in a form of holistic medicine from India. While study findings are mixed, it remains one of the most researched and promising supplements for RA. Ginger and green tea extract also are said to have anti-inflammatory effects, but they need to be studied more. I’m going to start my treatment with a two day fast to clear all the junk out of my body. 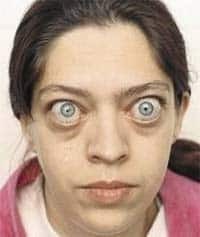 Two days without beer!! Gulp! I will be taking a glass of Slippery Elm powder in water three times a day during this time. After this I’m going to start using Ginger Essential oil topically as I start eating again. I’ll also be diffusing this oil in my office during the day. After a week, I’ll review and report back on my findings. Off we go!!! 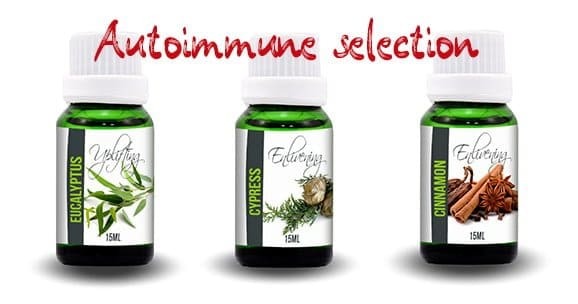 The data on essential oils for use in cases of autoimmune disease above was garnered from The Essential Life blog. Essential Oils Frequency – and other Essential Oils Scams!